Kirsten Grove has always had a passion for interior design. 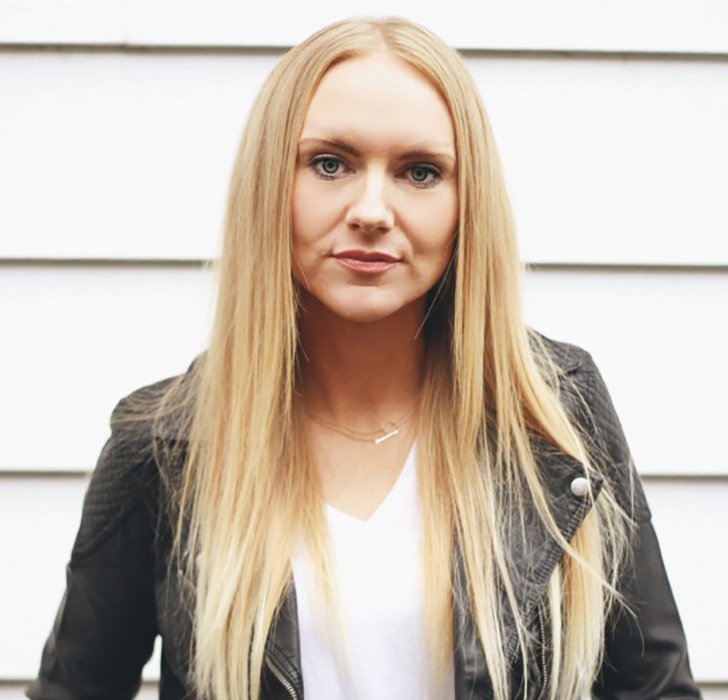 In 2008, she founded Simply Grove, a blog dedicated to all things aesthetically beautiful. 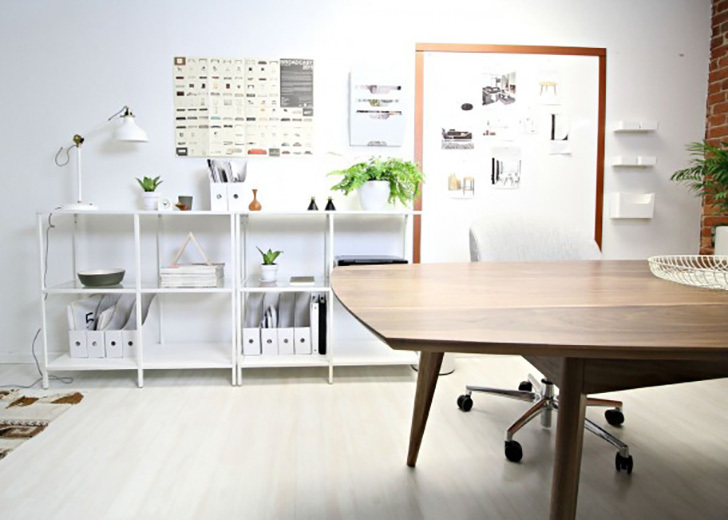 The site has become a hangout for like-minded creatives with a love of interiors and design. Kirsten has been featured in a number of home publications fromMartha Stewart to Elle Decor to Better Homes and Gardens. Earlier this year, Saveur recognized Simply Grove as Editors’ Choice for best design blog. Kirsten is a regular speaker at Alt Design Summit, the premiere conference for design-minded folks held annually in Salt Lake City. 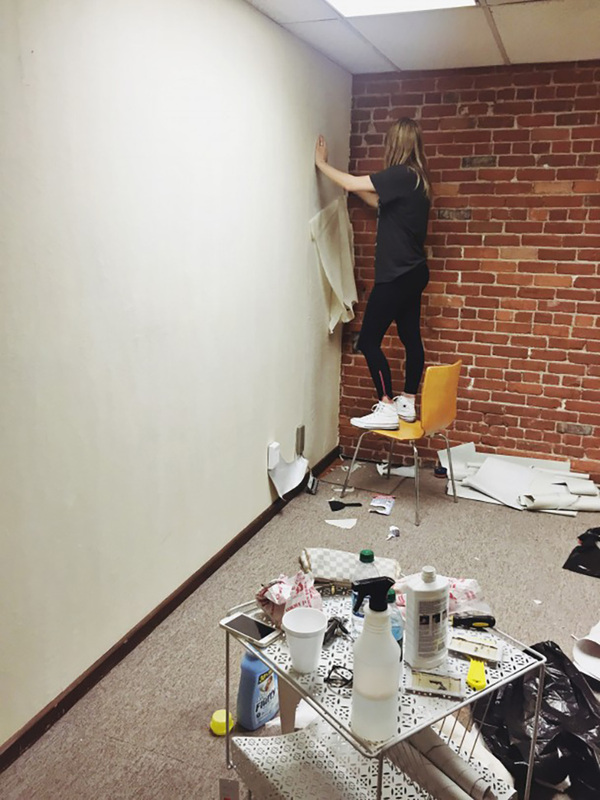 Having worked out of her home for the last few years, Kirsten felt it was time to move into a clean space where she wouldn’t get distracted with “mommy things.” She found a great space in a historical building in downtown Boise. It had charm but needed some love. She ripped out the “horrible old wallpaper and old carpet,” repainted the space white and installed white-washed floors. This gave Kirsten a clean slate to build upon. 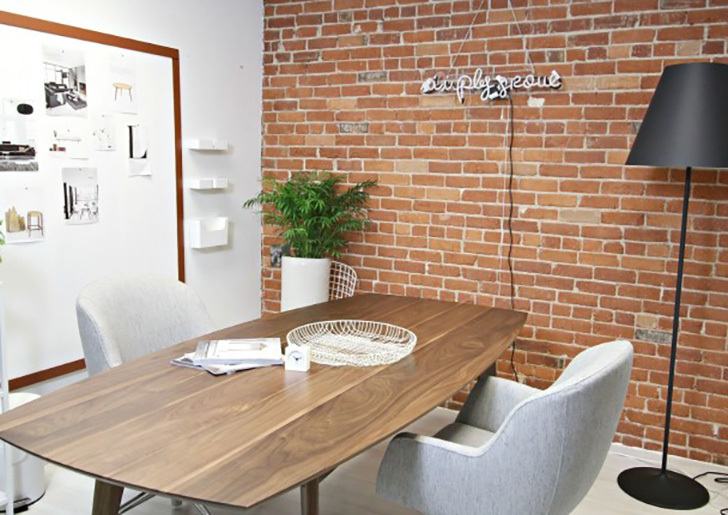 Kirsten selected furnishings from Room & Board, including our Ventura table, Nico office chairs and Soria Floor lamp. These modern designs “completed my style and space perfectly,” said Kirsten. “Room & Board does everything right,” she added. We took the opportunity to connect with Kirsten to learn more about her design style, sources of inspiration and some of her favorite things. How often did you rearrange your bedroom as a kid? All of the time! I literally rearranged my room twice a week. My grade school room had a nice array of rainbow and polka dots. I had my room broken up into zones: reading zone, sleeping zone and playing zone. I took it very, very seriously. It’s evolved over the years. I would describe it today as an eclectic mix of modern Danish bohemian. That’s quite the variety, huh? I live in a 1940s brick bungalow. It’s a cozy space with a lot of natural light. It’s a comfortable home for my family. We spend a lot of time outside so when we hibernate at home, we love every moment of it! Pinterest. I love to look at European and Australian spaces. 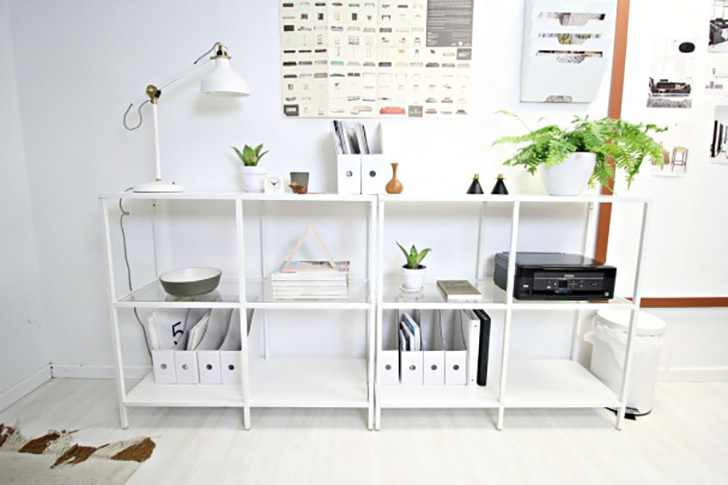 They inspire me to create a more minimalist space that doesn’t require a lot of upkeep. Also as a designer, I need a white slate to work out of. It makes me think clearer and it allows me to play around with color. I worked with Habitat For Humanity a few years ago and helped decorate a home for a single deserving mom. It was an amazing experience! As a mom and designer, what advice would you give parents who strive for a perfectly styled space? Don’t strive for it! Hahaha. Perfect is never in the equation for a family with kids. But stylish is! You can have a stylish, comfortable space where kids don’t feel like they can’t have fun. What’s your favorite social media platform, and why? I would have to say Instagram! It’s visually beautiful. And because my job is so visual, it’s a perfect platform for me and for so many designers. Taking on too big of a project by myself. I quickly learned that I made a huge mistake by thinking I could finish the project and finish it well. Textile design has always intrigued me! I think it would it would be so fun to create patterns that would become a household staple. Mascara! I’m a natural redhead and my eyelashes are bright blonde. Friends rarely see me without it. Anything that smells like fresh laundry! I can’t get enough. Dust! It makes spaces feel dirty, and it’s such an easy task to take care of. I’m constantly dusting my home. I love everything about my city. Boise is the perfect combination of cool, not too big, artsy and perfect weather. Sometimes it’s too hot in the summer, but besides that, it’s perfect!